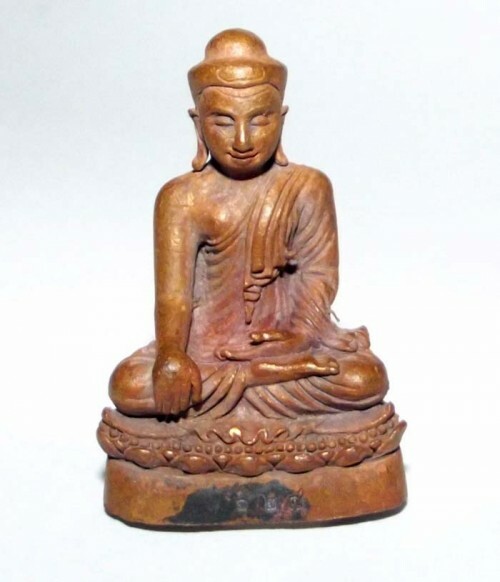 Pra Kring Tan Jai represents the Wishfulling Buddha seated in the ‘subduing Mara’ posture; this authentic Buddhist loi ongk statuette is made by the revered Lanna master Kroo Ba Buddha of Wat Nong Bua Kam in Lamphun Province in the North of Thailand. 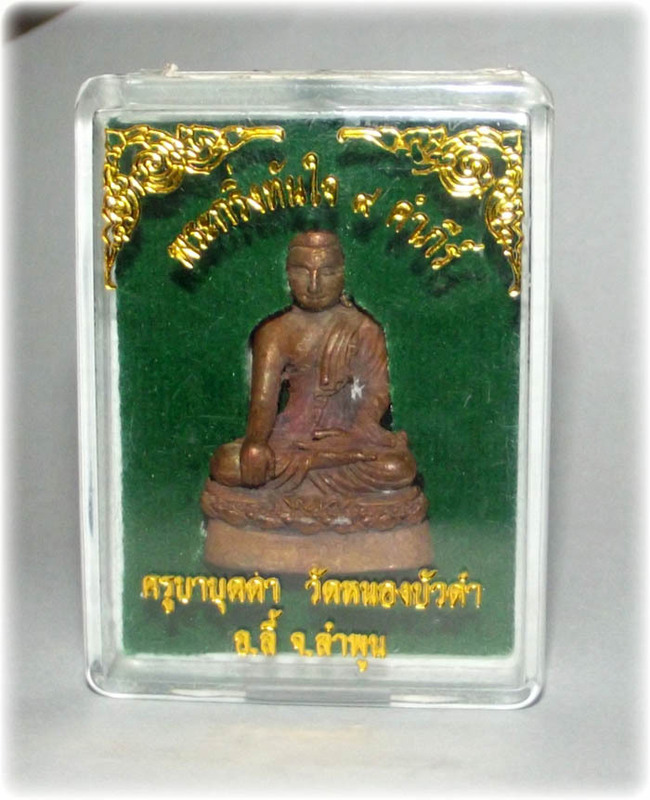 The amulet is made from sacred bronze, which was smelted in the ancient tradition method, thereby giving the Pra Kring Tan Jai statuette a very unique appearance indeed. It has the edition code number on the front of the base, whereas the base itself is filled with sacred powders and shredded banknotes. The sacred Puttakun powders used in the muan sarn ingredients have highly effective mahalap qualities, which serve to improve your luck and fate, prevent bad luck, increase prosperity and enhance your profession. 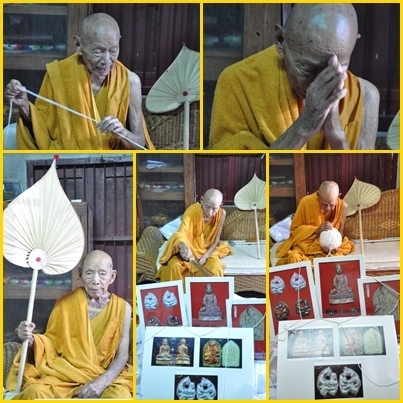 The Pra Kring Tan Jai amulets received solitary empowerment and ritual blessings from Kroo Ba Buddha himself. His devotees, then, sponsored the edition of Pra Kring Tan Jai statuettes to celebrate Kroo Ba Buddha’s 96th birthday in the year 2555 BE. 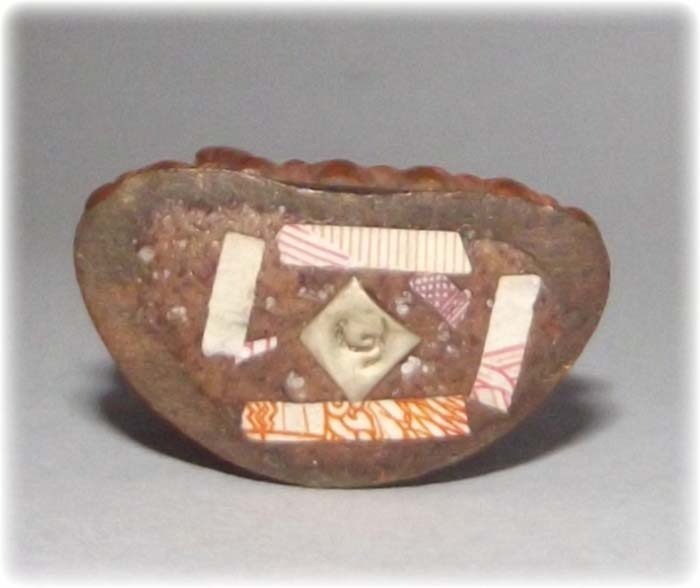 There were only 1800 of these amulets made and released in this particular edition. 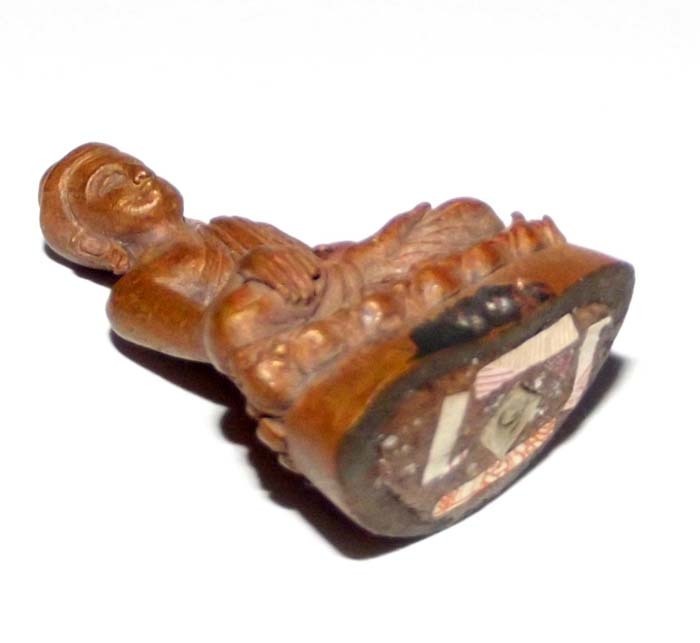 However, there was also another model made, which was also filled with sacred powders and shredded banknotes, yet this particular model was issued only to those present at the Puttapisek consecration cemony held at Wat Nong Bua Kam on 13 April in 2555 BE. The amulet comes with the original box of the temple; but, if desired, it can be encased as well.